A Schlumberger, multinacional da área de óleo e gás que possui um centro de pesquisa no Parque, criou o cortador de diamante cônico (CDE, na sigla em inglês), nova tecnologia que possui maior resistência ao impacto e abrasão em comparação com os cortadores PDC tradicionais. O projeto englobou o desenvolvimento de 5 protótipos de broca utilizando essa tecnologia. A companhia foi premiada no Prêmio ANP de Inovação Tecnológica 2017 na categoria “Inovação Tecnológica desenvolvida no Brasil por empresa fornecedora brasileira de grande porte do segmento de petróleo, gás natural e biocombustíveis em colaboração com empresa petrolífera”. 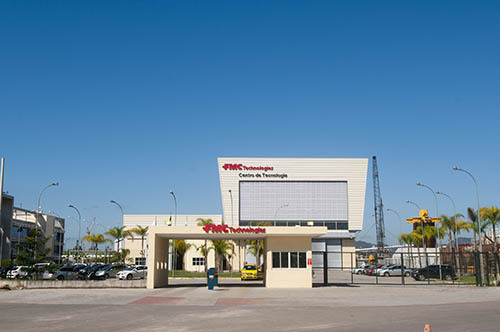 The multinational FMC Technologies produced a pioneering system: the water-oil Subsea Separator (SSAO – Separador Submarino Água-Óleo), operating in the Marlim Sul field (one of the largest oil producers in Brazil). The equipment – the only one in operation in the world – allows separation of oil from water and sand that come mixed up during extraction. 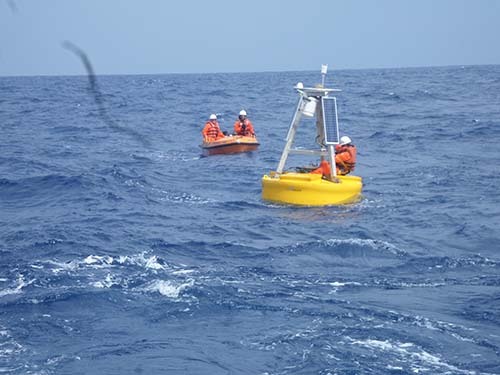 Ambidados, a medium-sized company installed in the Park, developed the Meteo-oceanographic Buoy, used for the acquisition of data in real time anywhere in the ocean, collecting data related to oceanography to provide the offshore market with highly reliable information. Imagine your dog has an incapacitating chronic lesion, cannot walk and feels a lot of pain. This may happen due to spinal cord injury or disc herniation. 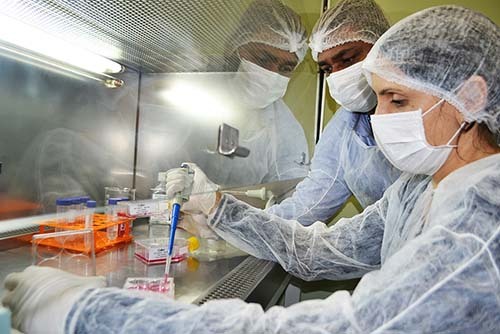 Cellen, a resident company at the Incubator, is the first company in Rio de Janeiro to create a stem cell bank for animal treatment. For those who do not know, these cells can differentiate into other cells and produce factors that may lead to the regeneration of different organs and tissues into which they are transplanted. Thus, animals’ injuries that were considered chronic before or even incurable now have an alternative to be treated and animals are hoped to recover. And even better, this is a safe and non-surgical treatment. Did you like Cellen’s services? Contact them through their website. Today, big cities depend on the efficiency of express corridors such as tunnels, viaducts and bridges. These corridors need to be frequently evaluated to identify problems and prevent urban mobility from being affected. 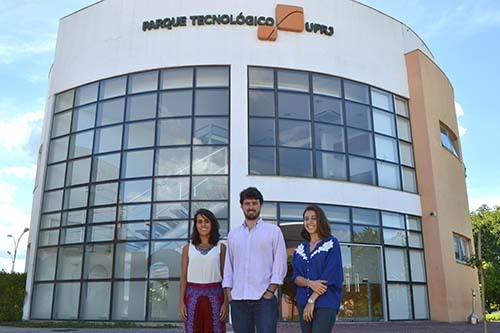 One of the recent graduate companies of the Incubator, Geovoxel Consultoria em Engenharia Ltda, provides this diagnosis to the market in a fast and economically viable way. Based on the georadar methodology, a kind of x-ray of the structures, the company collects information such as degree of cohesion, permeability and concrete porosity without blocking the roads and causing damage to them. The company’s advantage is that it provides information rapidly and is able to map kilometers of roads in only one day. Besides, it allows the customer to receive these data in a cell phone app. Are you interested in the Geovoxel services? Visit the website of the company. Imagine that operating an industrial process is like driving a car and that the process operator has a role similar to that of a driver. Like the car, the process also has sensors that help in its conduction. The problem is that, many times, the operators do not use these sensors and, when they do, they only use them partially. In the modern cars, there is information about how many kilometers it is still possible to drive without refueling or which is the best route to a particular destination. In the industrial processes, this is still not possible. The OptimaTech’s proposal, a resident company at the Incubator, is to transform these processes into modern cars. The startup provides the operators with the information about the sensors in intelligently and in real time, on a web platform. The whole operation and maintenance of the process is then carried out based on current information and engineering calculations that generate performance rates, alarms and recommendations that allow the operators to carry out the process in a simple, safe and efficient way. Are you interested in the OptimaTech services? Visit the company’s website. Over the past months, the Brazilian population has witnessed an increase in the number of cases of Aedes aegypti-transmitted diseases. In view of this situation, the municipalities are looking for direct alternatives to solve this epidemic and fight the proliferation of the mosquito. 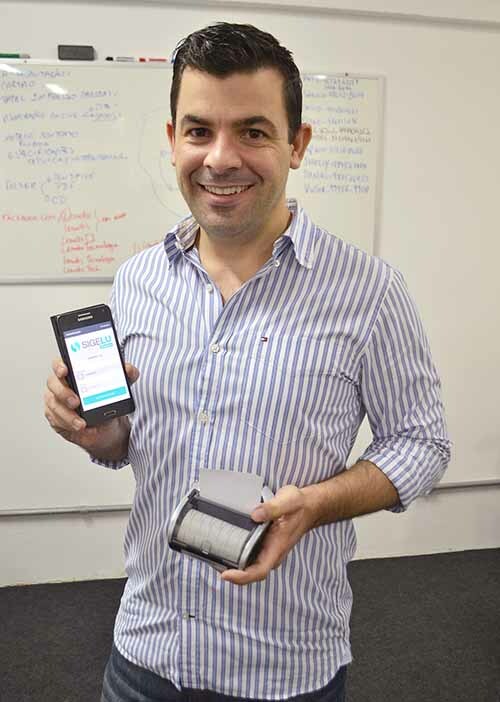 Lemobs, a resident company at the Incubator, developed an app that may help public managers to fight the mosquito. The startup created SIGELU ZikaZero, a system that can be used in a cellphone or tablet and aims at optimizing the work of the health agents. The idea is that, with the app, the agent will be able to catalog the residences with the presence of the mosquito and send all the information, with photos and data obtained via GPS, to the municipality operation center. Besides, if necessary, the app will be interconnected to a portable printer that can print a notice to the owner of the residence. You can learn more about Lemobs in company’s website. When the environmental disaster of the city of Mariana occurred, in which a dam owned by a mining company broke, a wave of mud destroyed the area. This could have been less serious for the population if flow simulations had been run remotely as a preventive action. 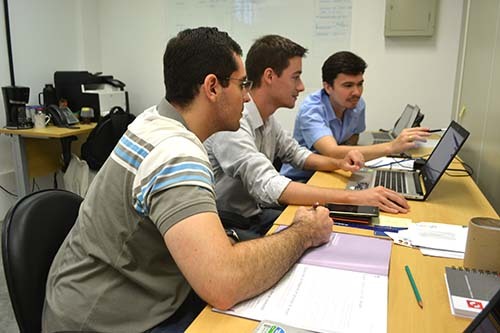 Wikki Brasil, a resident company of the Incubator since 2012, is specialized in Computational Fluid Dynamics (CFD). What does this mean? Basically, they can make calculations and run simulations in a computer about everything involving fluids, liquids and gas. CFD can be applied to several areas, such as oil extraction, the automotive sector, aviation, just to mention a few. In contrast to other companies active in that field selling this technology in a generic manner by means of licenses, Wikki Brasil trains companies and people, offers consultancy and free software. The idea is to customize this free tool for the specific demand of the clients and train them to use it. Are you interested in the services offered by Wikki? Access the company’s site. Did you know that there is a technology that allows you to see the interior of sewage treatment tanks and find out if the effluents (sewage, gas) are released in accordance with the environmental laws? Atomum, a resident company of the Incubator since 2015, has developed this type of technology for inspections in industrial equipment. In addition to the sewage treatment centers, the company also works in the following segments: mining, cement production, steel industry and location of leaking points in the pipes. By placing a small amount of a tracer (a radioactive substance) inside the industrial equipment, it is possible to assess the entire process of the equipment in real time. This technique does not harm the environment and nor does it damage or contaminate the equipment. Everyone has experienced internet problems at home at any point. Depending on the place where you live, the quality of the broadband connection that reaches your home is not very high or the speed is very low. Open Labs, a resident company in the Incubator since 2015, is currently developing an equipment called VFAST that will help broadband connections reach any place with high quality. They use optical fibers installed in the streets together with a metallic pair, which is usually found in the telephone networks that most people already have at home. In addition, the company is developing two other projects. One is an equipment called NCRM that can gather several transmission technologies to help operators serve their clients. These technologies include FTTx, DTH (satellite TV) and DTT (digital terrestrial TV). The other project is called NETWIN, a platform for managing equipment and telecommunication network services with georeferencing. There are extreme places and areas in the world that human beings cannot reach because they put their life at risk or because the climate conditions are too harsh. Robots and tools can be developed to help reach these areas and take actions there without humans. 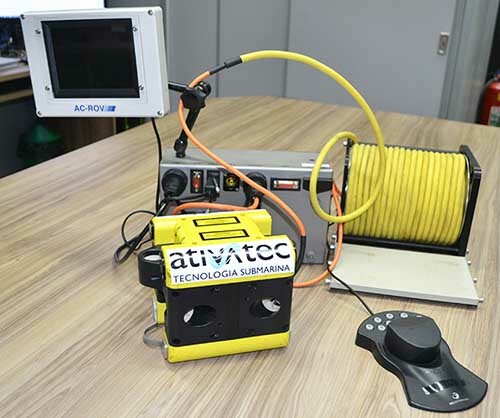 A resident company of the Incubator, Ativatec, is specialized in the production of equipment operated by robots that work in areas of difficult access, such as the sea bed. They are very often used in the maintenance of subsea oil platforms. 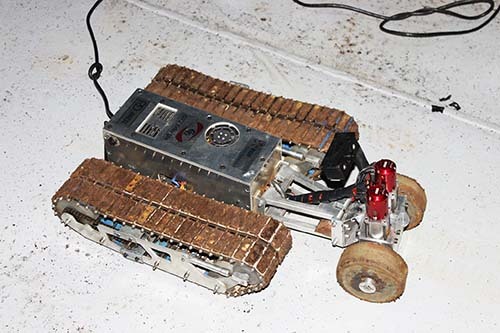 Ativatec is also developing a robot called “Chico Mendes” for Petrobras. “Chico” is capable of navigating on its own and can move in the water, mud, sand and in the mangrove forest. It will be used in research carried out in the Amazon area and has sensors that can measure the quality of the environment. Did you find Ativatec interesting? Access the company’s website. In times of crises and especially in the world market of oil and gas, companies have searched for innovations that can help them increase the efficiency in operations in order to reduce costs. One of these innovations is the virtual simulation of processes included in oil production. 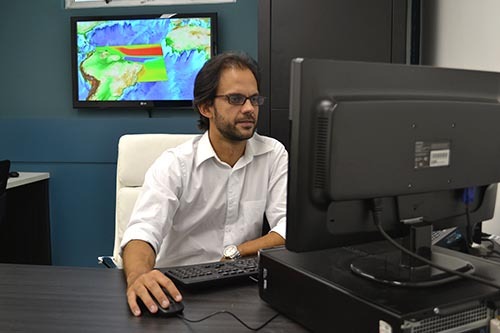 TR Subsea, a resident company of the Incubator since 2015, is a Brazilian startup that was pioneer in developing virtual subsea simulators, which help test certain operations and equipment used in the seabed. Tests are applied in real time before the experts begin using the equipment. Demand for these simulators is growing every year because they help companies validate project concepts, train their workers, increase efficiency of processes, and reduce risks and operation costs. Thermal power plants use big boilers to produce energy. The boilers need to be regularly inspected by means of an injected hot gas that generates steam. However, these inspections are very dangerous because they are performed by climbers and the operation of the boilers must be interrupted. GT2, a company that has recently joined the Incubator, has developed a robot that will create a revolution in the inspection of boilers. The robot can inspect them at a temperature of 80 °C, which means that experts do not have to climb to the boilers any more. This is essential for thermal power plants because, in the past, they had to stop production for three days, at least, so that the boiler got cold and someone could get inside to clean. With the GT2 technology, boilers now only need to be stopped for one day, which avoids losses and decreases the waiting time for the boiler to become cold. Would you like to learn more about GT2’s robot? Access the company’s website. In certain circumstances, when somebody needs dental implants, bone grafts are sometimes necessary because they help increase the amount of bone that will hold the implant. The problem is that the waiting time between bone formation and application of the implant is high and can last more than 6 months. Biorepair, a startup of the Incubator, has developed a synthetic graft that helps bones form more quickly, which reduces the waiting time between bone formation and application of the implant to four months. There are other types of grafts extracted from part of a patient’s bone or from dead animals, but Biorepair produces this kind of materials in a laboratory. The main advantage of the synthetic graft is that it stimulates bone formation more quickly than other products already available in the market and it is offered at a competitive rate because it is produced on a large scale, which reduces final costs. Can you imagine a car that never stops and the only way to do repairs, maintenance and checkup on it is when it is working? It is hard to imagine, right? However, that is what happens in industrial plants, such as FPSPOs, platforms, oil refineries and pipeline systems. Some procedures and systems never stop. So, how can you know if the equipment is working well? Vidya, a resident company since 2013, works with the monitoring of corrosion, i.e. the deterioration of materials by chemical reactions. Corrosion is one of the main causes of failures and maintenance needs in industrial plants. Vidya monitors the corrosion of equipment, assesses their integrity and proposes solutions. Sensors installed in the equipment monitor them and generate data that are compiled and used to assess the integrity of the systems. 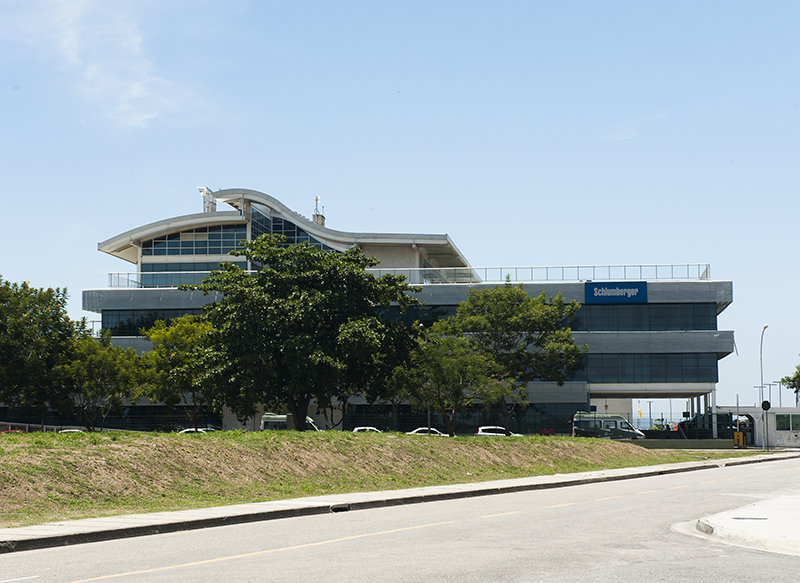 Vidya was one of the first companies to work in Brazil in this area of monitoring, which ranges from the implementation of the system itself to the assessment of the integrity. Would you like to learn more about Vidya? Access the company’s website. Ceramic materials, such as bricks and roof tiles, which have been used in construction for five thousand years since the times of the Egyptians are still building solid houses nowadays. The problem with the brick construction is that it demands an intensive use of labor that is sometimes slow and expensive. 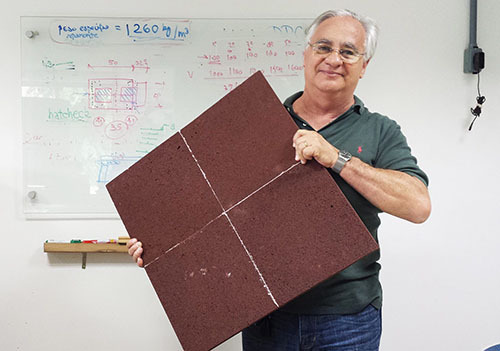 What if it would be possible to make a ceramic panel of an area of 80 bricks that is so light that one single person could hold it and apply it easily? Well, the prototype for that already exists. Vikatech, a company that graduated from the Incubator, developed a system called Vikaflex, the “21st century brick”. Vikaflex is a ceramic panel with several features: resistant, waterproof, and with a thermoacoustic and non-combusting insulating layer. 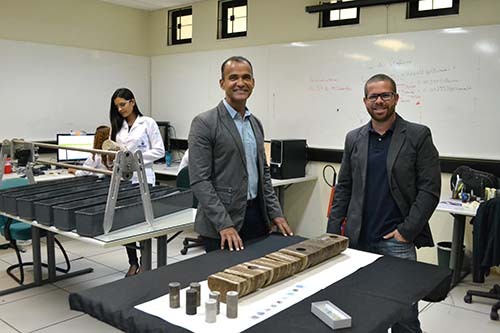 It was developed from the mineralogical structure of the shale that is discarded from the process of oil and gas extraction by Petrobras in São Mateus do Sul, Paraná. Therefore, it is not only an innovative product but also a sustainable one. Did you like Vikaflex? Find out more about the product in this video. Often, nature gives us clues about the location of large oil reservoirs: oil that is naturally leaking from the seabed goes up and creates a stain on the ocean surface. The problem is that these stains are often kilometers away from their leaking source due to sea currents and the wind. OilFinder, a company that graduated from the Incubator, has developed a technology for tracing the trajectory that the oil stains, visible in the ocean surface, have followed from their leaking source in the seabed. The simulation is performed in a laboratory by using inverse modeling technology that the company created. What does this mean exactly? Finding the precise location of the natural leaking significantly reduces the risk of drilling a dry well, which a new study says corresponds to a 27% reduction. By using satellites and computational simulators, inverse modeling identifies the ocean conditions of the day the stain was seen on the ocean surface. For example, if the stain was seen on April 8, 1994, OilFinder can simulate the ocean currents on that day and backtrack the origin of the leaking oil. Are you interested in the services offered by Oilfinder? Access the company’s website. When a given land lot is very close to the river and buildings are built there, this place is more likely to flood than other land lots. How can this be avoided? AquaFluxus, a company graduated from the Incubator and now resident of the Park, offers services of urban drainage and water resources. Through the MODCEL software (model for drainage cells), the company can map and propose measures for controlling floods with precision. In addition, the startup offers other services such as sustainable drainage and water rationing. Sustainable drainage can be defined as the reduction of the impact that constructions have on the local water systems, which can be made through the implementation of permeable pavements and land lot reservoirs. Do you want to learn more about Aquafluxus? Access the company’s website. Extracting oil from the seabed is not an easy task. 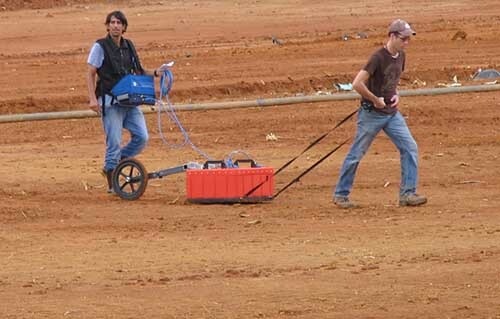 Before drilling, feasibility studies must be performed and the conditions of the environment must be analyzed. So how do big oil companies know precisely the behavior of the subsoil where the oil is located? Petrec, a startup of the Incubator, is responsible for processing and interpreting different kinds of geophysical data, which basically corresponds to mapping the environment. In the seismic method, for example, data acquisition companies emit sound waves that travel into the center of the Earth and reflect in each geological interface. Thus, every time the rock changes its characteristics, a part of the wave reflects on the surface. The feedback is then captured by sensors that may be on the ground or in the seabed. Petrec processes these sets of data and organizes these images (reflections) so that geologists are able to understand the entire geology of that surface. The company also works with computational petrophysics – a new area within the oil and gas market. Using advanced technology of computational petrophysics, Petrec performs a series of processing procedures and simulations on Digital 3D models to provide a non-destructive, quick and unique analysis of the rock properties. Through the “Rocklab digital” platform, Petrec offers these analyses to oil companies, the mining market, universities and regulatory agencies. Do you want to learn more about Petrec? Visit the company’s website. Due to the widespread use of the internet and social networks, we now live in a world where an enormous amount of information is generated all the time. The question is: how can you identify and extract relevant content that could help your business? 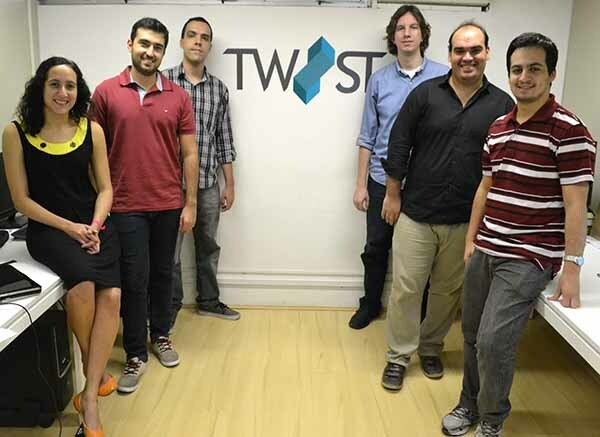 Twist, a startup of the Incubator since 2012, is one of the first Brazilian companies that has developed a system integration technology that captures all the information of different media, classifies it in topics and then identifies who was mentioned. In September, the company monitored Rock in Rio, capturing almost 1 million tweets and more than 4 thousand news items during the two weeks of the event. It was possible to indicate which posts were made by people attending the event and to identify and take quick actions in crisis situations. All these sets of data are consolidated and made available in real time through a web platform. Do you want to learn more about Twist? Visit the company’s website. Usually, when your refrigerator stops working and you have to replace a part of it, this part is nearly impossible to find. But what if you could produce it without leaving your house? This is possible with a 3D printer. Koios 3D printing is one of the first companies in Brazil that manufactures and commercializes 3D printers with completely national and affordable technology. But what are 3D printers? They are printers that can print anything in any three-dimensional format. They can print everything from a button on a shirt to the engine of a car. Most of the time, the material used in 3D printing is plastic, and in order to print an object you just need to design it on a computer. Do you want to learn more about Koios and the 3D printer? Visit the company’s website. The electricity bill is an expense that can have a substantial impact on the budget of families and businesses. EDB Renováveis, a company of Coppe/UFR Business Incubator, works precisely in search of a solution to this problem. Depending on the amount of power consumption of a household, EDB can reduce the electricity bill by up to 90%. How? 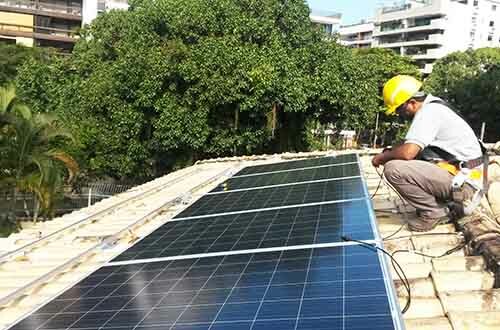 The company develops projects for the installation of photovoltaic solar panels that generate electricity using sunlight. This way, the consumer may get to pay only the minimum rate of the distributor. Learn more about EDB on the company’s website. The cost for constructing a building is usually a mystery for builders in the feasibility study phase of the venture, when the project is still poorly detailed. Is the cost of the square meter I am taking into account correct? Can I use the cost of other similar construction works as reference? These questions can now be answered. 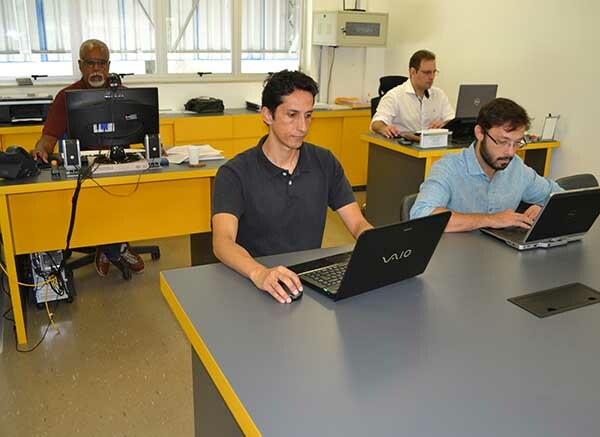 CUG, a resident of the Coppe/UFRJ Business Incubator, has developed an innovative methodology that uses statistical models and geometric variables that precisely estimate the cost of a construction work. It delivers a custom calculator to the company containing an analysis of all the construction works that have already been made. The calculator also makes the projections for the intended construction. Thus, the analyst must only submit the preliminary information of the project to learn about the cost of the construction. They are hitting the nail on the head. When we do renovation work at home, we have no idea if a tool will end up hitting a pipe and delaying the whole schedule, right? Not anymore! Engset-NAV, one of our resident companies, has developed a pioneering technology of augmented reality that allows us, for example, to see the entire internal structure of a building in real time and 3D form. This technology can be used not only in the construction industry but also in many other fields. Have you ever imagined going to a museum, pointing your smartphone to a work of art and being able to interact with the work? Watching videos and curiosities about the history of the exhibit and images of its author? Thanks to Engset’s services, this is possible. Are you interested in learning more about Engset? Visit the website. Subsea Wi-fi. Did you imagine this would ever exist? 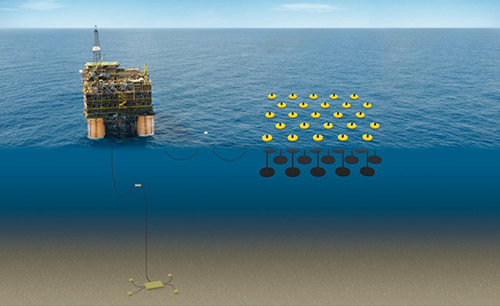 For those working in the oil exploration market, data transmission and monitoring at hundreds of meters deep will be a reality soon. 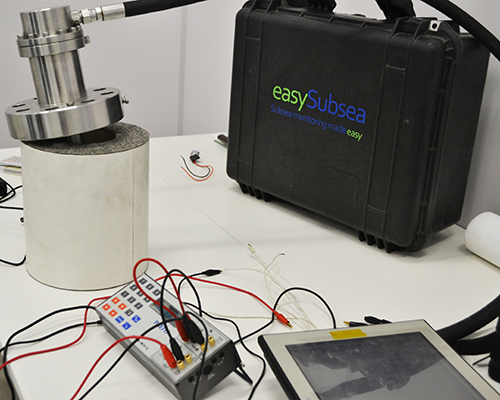 EasySubsea, a resident startup of the Incubator, was the first Brazilian company to develop wireless communication technologies for subsea environments. Basically, the company’s device (easyComm), installed in the oil wells, provides information, such as temperature and pressure of the wells, for large oil and gas companies. This monitoring can be done with or without wires. The latter works as a kind of subsea “wi-fi”. The information is transmitted through hydroacoustics. This technology is similar to a speaker that emits the sound (information) in the subsea environment to a microphone that picks up the sound – in this case, the data. When hiring an internet service, we always wonder if the purchased speed will arrive in our house. Or, in some cases, if what was advertised is what is actually being offered. On one end, we have dissatisfied customers. On the other, the operators still have difficulties in monitoring their services. 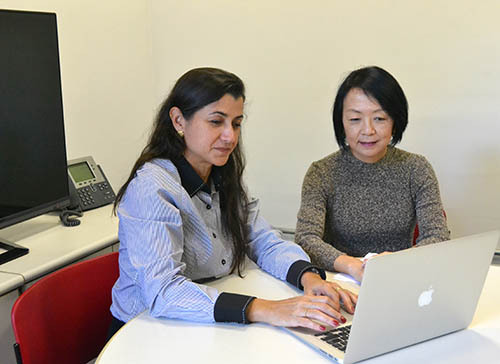 TGR, a startup of Coppe/UFRJ Business Incubator, is one of the first companies in Brazil to faithfully measure the quality of fixed and mobile network operators. Do you want to know how? They develop devices for internet gadgets, routers and mobile phones that report, in real time, the performance of the provider. This way, it is expected that over time the Brazilian broadband will have more and more quality and the purchased service will be provided efficiently. The sea waves have always been a “home” for surfers and adventure lovers, right? Now, have you ever imagined that the strength of these waves can supply energy to a household? 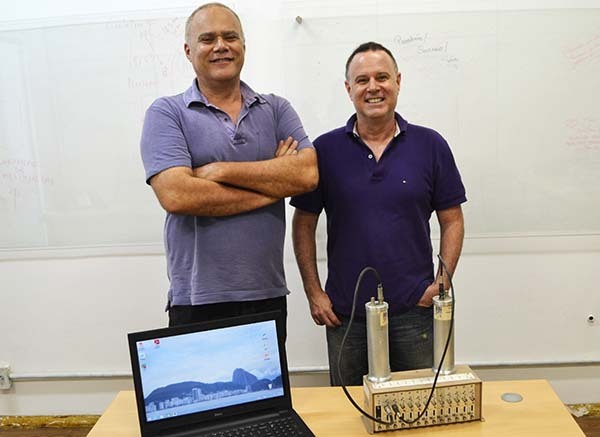 Seahorse, a startup of Coppe/UFRJ Business Incubator, is focused on sustainable energy production and develops technologies capable of using wave power to produce electricity. In addition, the same technology can remove salt from sea water by converting it into potable water (desalination). These devices float in the sea and use the pressure of waves to trigger energy generators that are coupled in their internal part. Desalination occurs through reverse osmosis, a process widely used in water treatment reservoirs and that consists of salt absorption using a semipermeable membrane. If you want to learn more about Seahorse, visit the company’s website.